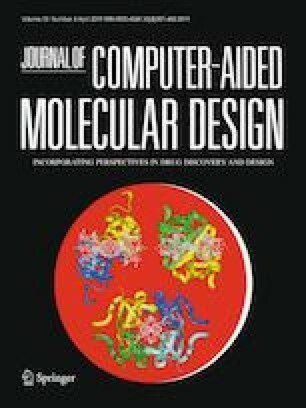 Comparing fragment based molecular fingerprints of drug-like molecules is one of the most robust and frequently used approaches in computer-assisted drug discovery. Molprint2D, a popular atom environment (AE) descriptor, yielded the best enrichment of active compounds across a diverse set of targets in a recent large-scale study. We present here BCL::Mol2D descriptors that outperformed Molprint2D on nine PubChem datasets spanning a wide range of protein classes. Because BCL::Mol2D records the number of AEs from a universal AE library, a novel aspect of BCL::Mol2D over the Molprint2D is its reversibility. This property enables decomposition of prediction from machine learning models to particular molecular substructures. Artificial neural networks with dropout, when trained on BCL::Mol2D descriptors outperform those trained on Molprint2D descriptors by up to 26% in logAUC metric. When combined with the Reduced Short Range descriptor set, our previously published set of descriptors optimized for QSARs, BCL::Mol2D yields a modest improvement. Finally, we demonstrate how the reversibility of BCL::Mol2D enables visualization of a ‘pharmacophore map’ that could guide lead optimization for serine/threonine kinase 33 inhibitors. The online version of this article ( https://doi.org/10.1007/s10822-019-00199-8) contains supplementary material, which is available to authorized users. This study is funded by Molecular Science Software Institute (MolSSI) [30, 31] Fellowship and NIH. MolSSI is funded by the NSF Grant (ACI-1547580). Work in the Meiler laboratory is supported through NIH (R01 GM099842, R01 DK097376) and NSF (CHE 1305874). The author would like to thank Dr. Francois Berenger for discussion regarding descriptor design. OV, JM and JM designed the study. OV implemented the descriptor, performed the benchmark and analysis, and wrote the manuscript. JM and DA supervised the project. JM, DA and JM edited the manuscript. All authors read and approved the final manuscript.